Discount Contract Hire and New Car Leasing offers from www.dsgauto.com. The following is a selection of VW business contract deals priced from £169.99 (+VAT) a month. If you can't find the new car you are looking for please call 0161 406 3936 for competitive quotes on all makes and models. Quick delivery, most models available in 14 days. Offers based on 3+23, 10kpa and exclude the VAT. 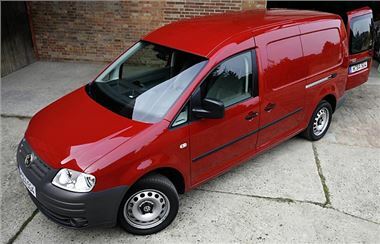 This offer is based on a limited number of stock vans, for more details please call 0161 406 3936. DSG Auto Contracts Ltd has merged with www.newcar4me.com to strengthen their consumer offering. Newcar4me.com specialises in discounted new UK supplied cars and offer online Personal Contract Purchase (PCP) and Hire Purchase (HP) quotes. Visit the website here www.newcar4me.com to see how much you could save on your new car. For more information on any of the above please call the new car leasing sales team on 0161 406 3936 or email sales@dsgauto.com. DSG Auto Contracts offers great new car leasing deals on all UK cars on Contract Hire, Hire Purchase, Lease Purchase and Finance Lease. More information and more new car leasing deals like these at www.dsgauto.com. Specialists in Alfa Romeo, Audi, BMW, Mercedes, Mini, SAAB, SEAT, Skoda, Toyota and Volkswagen.